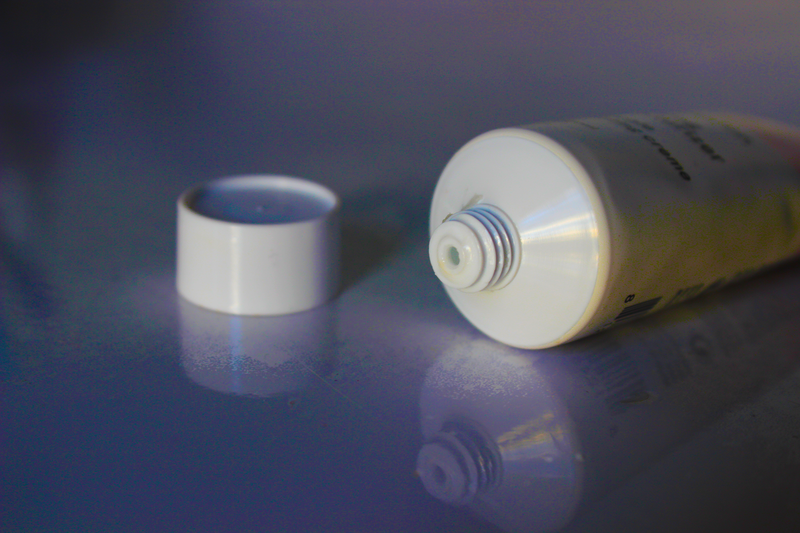 My least favorite makeup product is...*drumroll please*.... face primer! Okay, I know I should not be excited because I have been missing out on this crucial step for many years, but the primers I have tried do not go well with my dry skin and overall, do not do anything for my skin or foundation. However, I have never lost hope! 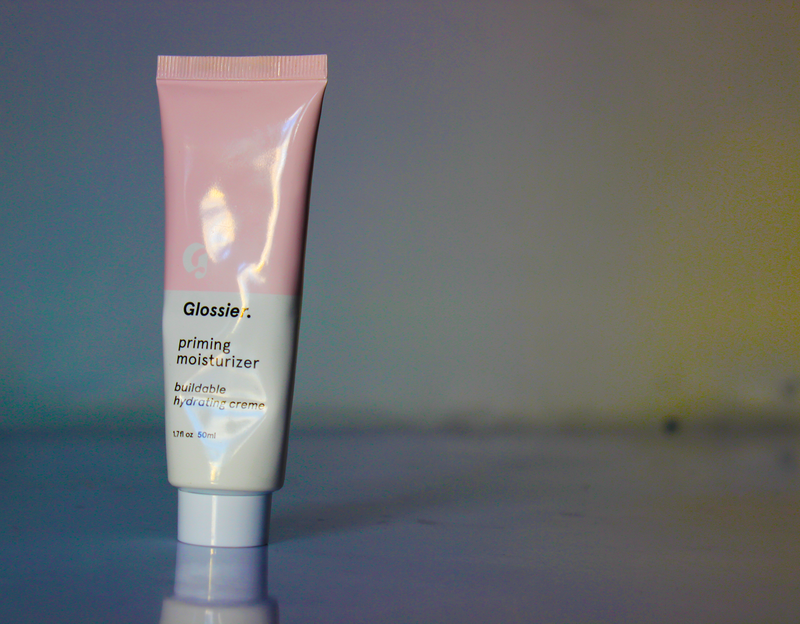 I searched and searched, until I came across the Glossier Priming Moisturizer. Initially I was very intrigued with this product because, like I said, I have very dry skin. I decided to use my email coupon along with the Black Friday free shipping and 25% off to buy the original phase one kit (new one is here). It is very unique because it is marketed as a primer and stand-alone moisturizer! The product itself is pure white. 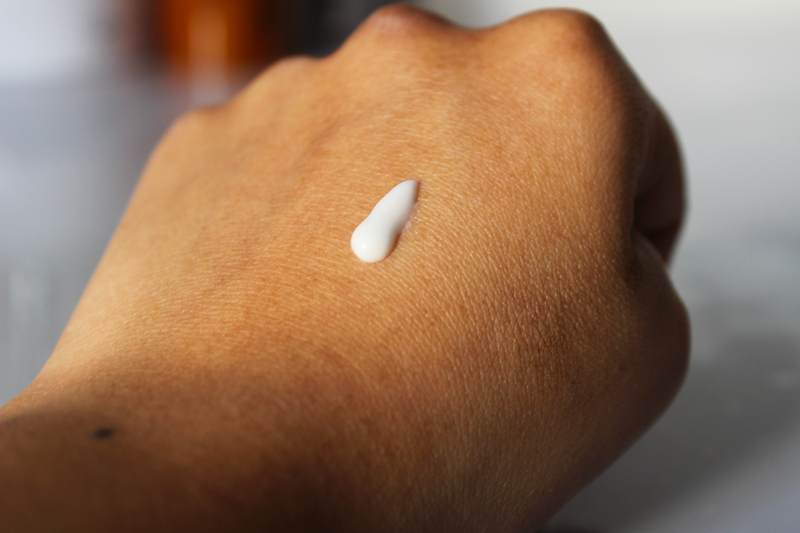 It has a consistency to an average moisturizer, but to be exact it is quite thin. It blends into the skin easily and dries very quickly. However, be cautious of how much you use because a little too much can lead your skin to become very oily. The one gripe I have about this product is the scent. I think it is the artificial scent of the silicon in the primer. It is quite noticeable when you are blending it in, but it does go away after probably thirty minutes. It sounds useless because by then most of your makeup is done by then, however, this product can be used alone as a moisturizer. Which brings me to the ingredients because the list is huge! There are some crazy things in there (personally, I do not mind if the product works, lol), but I highly suggest going to the website (here) to look at all the ingredients. When it comes to durability, it does make my makeup last A LOT LONGER than any other primer I have ever tried. It is also a great inbetween for drugstore and high-end makeup. It costs $25, which is better than the upper $30+ and it has a better formula than drugstore primers.